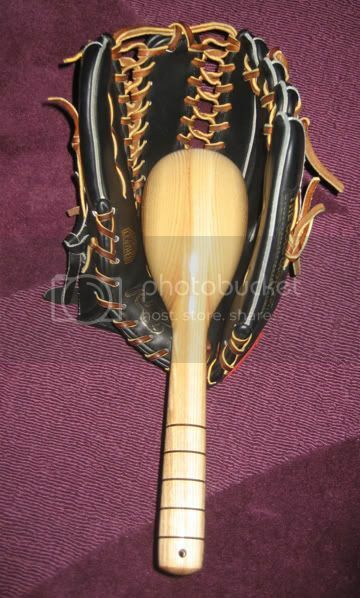 Post subject: Designed my own glove mallet - what do you think? Well like the title states, I designed my own glove mallet and had my father in law make some up for me. 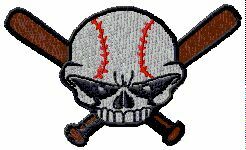 I had never owned a mallet before so I went off of some images on the web and this is what I came up with. I would say its some where between the Nike and Mizuno mallets, but again, that is just based off of the images I have seen. All are 13" long and made from ash except for one which is maple (it is insanely beautiful by the way). Thought I would post some pics to get everyones feed back. Sorry about my crappy point and shoot camera, they don't do these justice! I want one as well. Shoot me a PM with a price. lookin good. 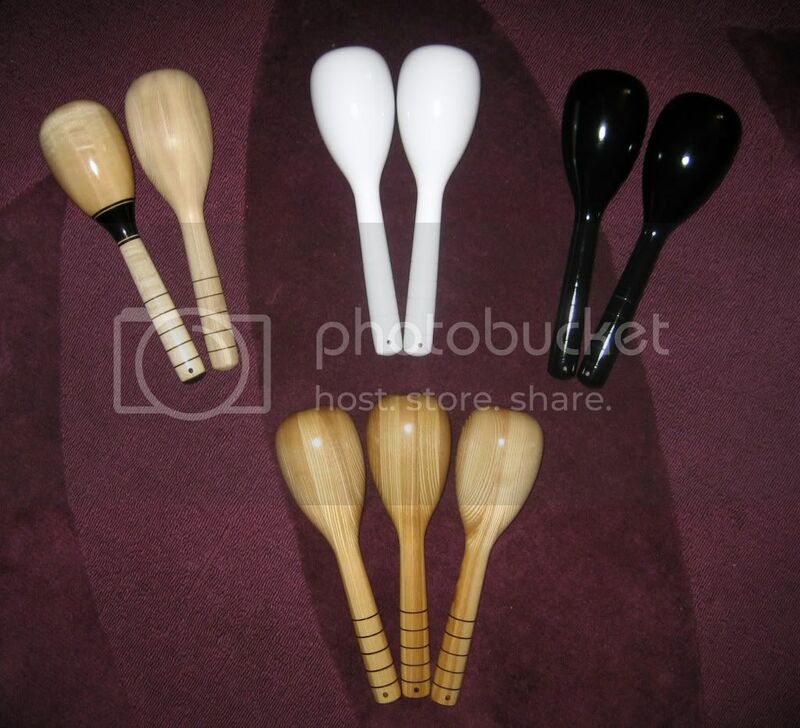 and I just realized that maracas would make good glove mallets if they weren't hollow. Haha the maracas thing is great! 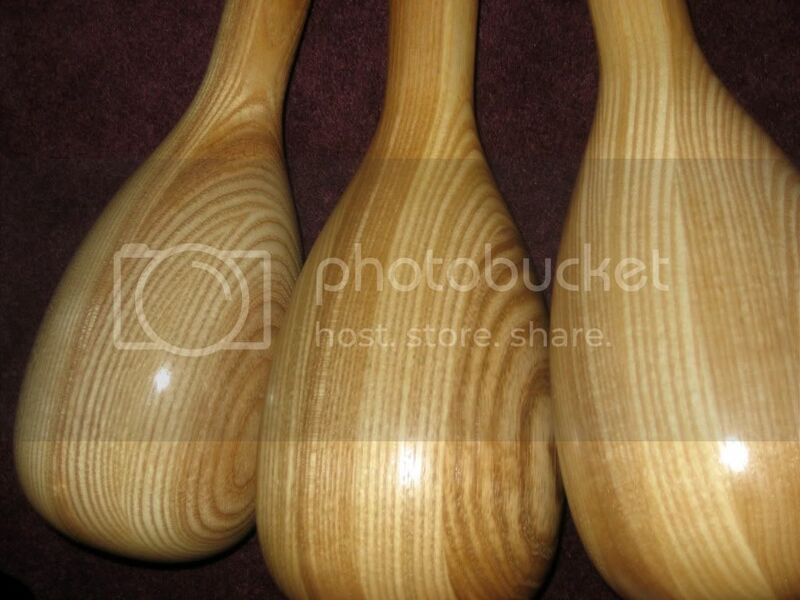 I kept looking at these in my hand and I was thinking "I have seen this shape before... bowling pin? no not really. Juggling club? close but no." But maracas nailed it! Anyways, these are all for sale and I am deciding on price right now. I am thinking for this first batch I will probably offer them a little lower than I will down the road, just so I can get some out there for people to use and give me feed back on. Also I am developing a brand/logo so down the road these will be branded. I will pm those interested for now and anyone else can feel free to contact me. Do you prefer painted or stained? Would you like options for different wood? Ash, maple, etc? 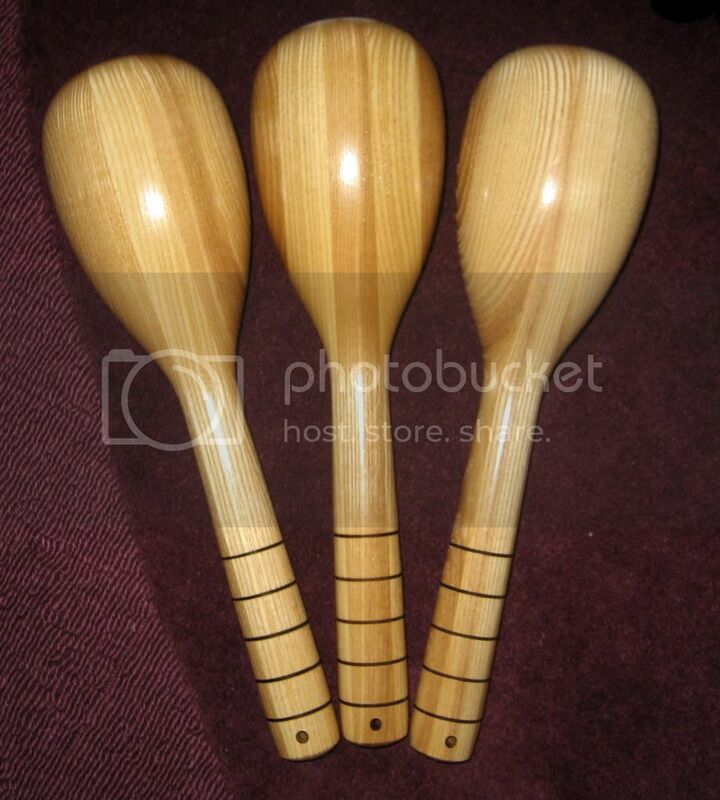 Oh, I also thought I would do a quick run down on the finishes of the mallets in the photo. 3. 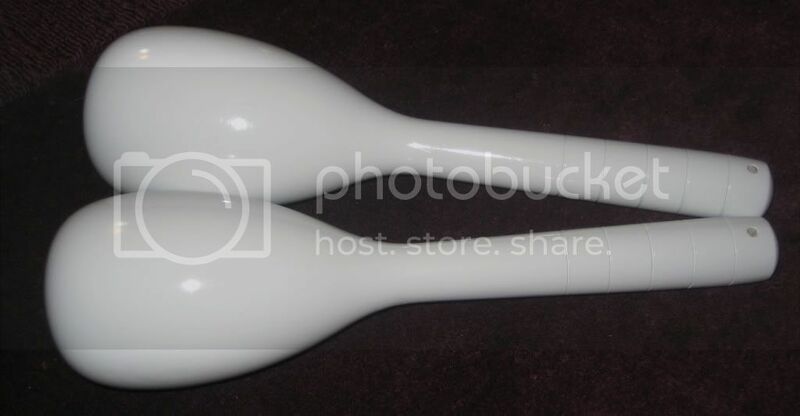 White, has the same finish of a wood baseball bat. The paint wont rub off but the shine will obviously deteriorate over time. 5. 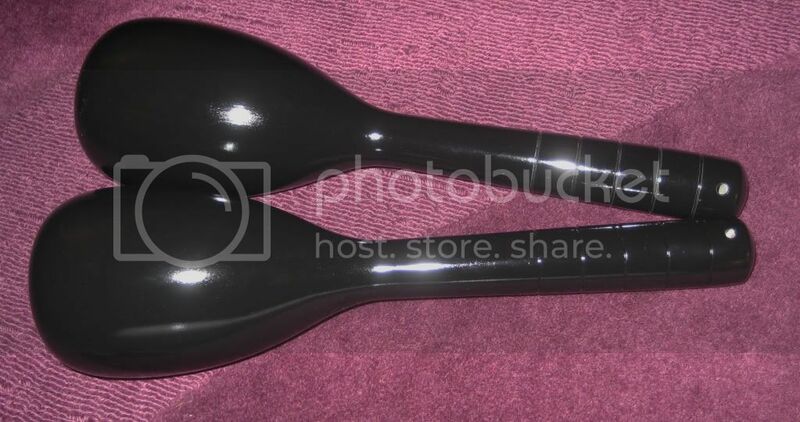 Black, has the same finish of a wood baseball bat. The paint wont rub off but the shine will obviously deteriorate over time. * The grooves were created by burning with wire. It gives the mallet a nice contrast while still maintaining the woods natural (albeit burned) color. Last edited by t_parrish on Fri Jan 27, 2012 1:23 pm, edited 2 times in total. What are these bad boys tipping the scale at???? I like that maple mallet....interested....price? Thanks for the compliments everyone. I haven't had a chance to weigh them as my little scale took a crap on me. I will weigh one at work tomorrow and let you know. I would love to buy a couple of these if you are selling! I love the maple one, and the black one as well. Name a price, those are beautiful! You should market them as "Maraka Knockas." Maybe a discount for the great name? Good work and good luck!! Haha perhaps. I fully intend on creating a brand as a whole but I guess I didn't think about giving the mallet a specific brand/name.. may have to do it. I have a a few people clamoring for the maple one. If it sells and people really like it I can have more made.